Yr Ysgwrn was the home of Hedd Wyn. He won the Chair at the Eisteddfod in Birkenhead in 1917 for his poem “Yr Arwr” (The Hero), but was killed at the Battle of Passchendaele six weeks before he was posthumously awarded the Chair. Famously, the Chair was draped in black cloth and became known as Y Gadair Ddu or The Black Chair. This has come to symbolise a generation of Welsh youth who lost their lives in the First World War. As well as improving access to the site, including paths surrounding the agricultural holding. During the last five years, as part of the development, work has been undertaken on conserving and improving the house including repairing the chairs and kitchen and bedroom chattels, restoring the house using traditional methods, and opening the first floor for visitors. Beudy Llwyd was developed as a reception building to the site including a reception, café, community room, exhibition gallery and outdoor community space. Here there is an opportunity to learn the history of Hedd Wyn, his family and his community and at Beudy Ty, the story of the losses of the First World War is presented through film and exhibition. “It is an honour and a privilege to be here to officially open Yr Ysgwrn, a place which holds such significance in the history of Wales. The peace and tranquility of the Snowdonia National Park here is in marked contrast to the horrors that Hedd Wyn would have faced at Passchendaele over a hundred years ago. Over 3,000 Welsh soldiers died in that battle and Yr Ysgwrn not only remembers Hedd Wyn but it is also a poignant reminder of all the sacrifices which were made during the First World War. 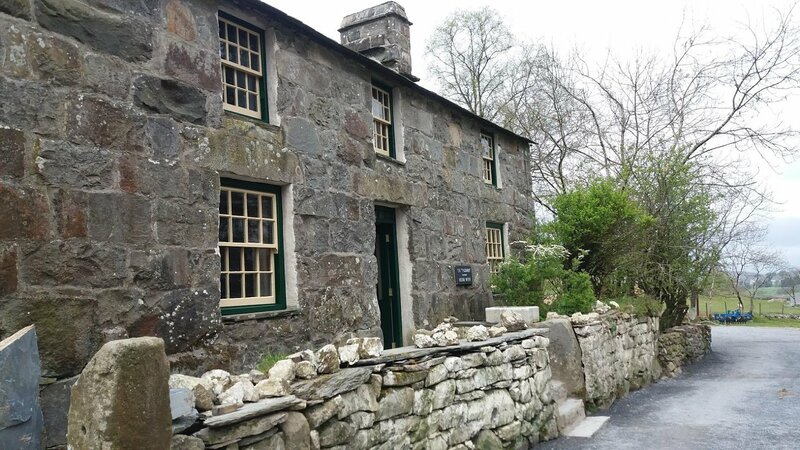 “It is a privilege to have been able to play a role in bringing the life and work of Hedd Wyn at Yr Ysgwrn – the place which he knew and loved so well – to a new generation, and to do so in the centenary year of his death and of his greatest poetic achievement. “His death robbed Wales of one of its greatest modern poets, but the Great War robbed all Wales of untold talent. Hedd Wyn stands for all those men who did not return, for the promise that was never fulfilled, and for the family of the nation which honours them. “I would like to thank the Welsh Government, the Heritage Lottery Fund, and Mr Gerald Williams, for their support, their vision and their enthusiasm over the past five years to ensure that we are officially opening this site today. Outside the main building, walking trails have been developed around the farmland, the piggery has turned into a bat house, a new shed has been built for the agricultural tenant, a biomass boiler has been built, the pig pens have been reintroduced and a new pen from traditional material has been built to be used by the farm tenant. A car park has been built opposite Beudy Llwyd (spaces for 2 buses and 22 cars) and in conjunction with Gwynedd Council, the road up to Yr Ysgwrn has been renewed to provide 2 passing spaces along the lane.